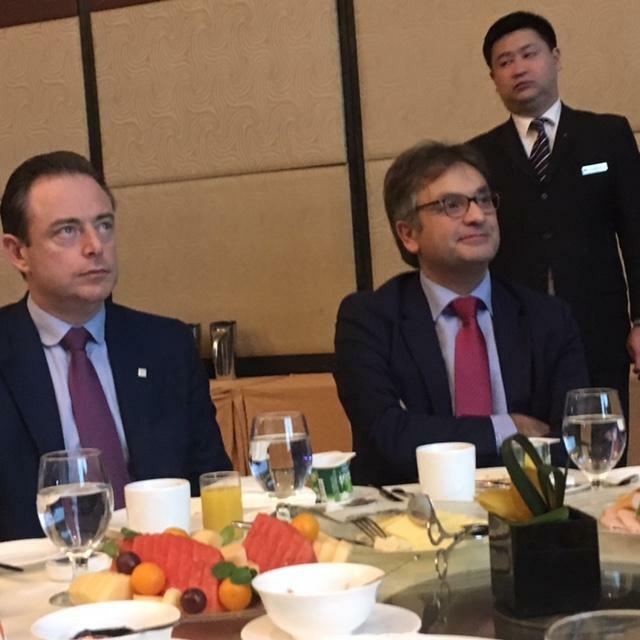 The city of Antwerp organized a mission to Shanghai from December 14 till 17, 2016, headed by Mayor Bart De Wever. The FCCC was represented by Mr Stefaan Vanhooren, Chairman and Ms Gwenn Sonck, Executive Director. The mission also included about 70 business people. The City Council of Antwerp places great importance in supporting Antwerp enterprises abroad. In light of this, they cooperated with their partners in organizing a 2016 joint mission to two leading cities in the Asian region: Seoul and our sister city Shanghai. The delegation consisted of members of the city council, Port of Antwerp, Antwerp World Diamond Centre (AWDC) and a broad group of corporate leaders. The mission was actively supported by the local Belgian embassies and consulates, and enjoyed the cooperation of Flanders Investment & Trade (FIT). The first stop was Seoul, the capital of the Republic of Korea, followed by Shanghai, People’s Republic of China. Antwerp and Shanghai are sister cities and have so far enjoyed 32 years of close cooperation. Shanghai tops the global port ranking, making it an attractive partner for Antwerp, the second most important European port. China, with Shanghai in particular, is an important diamond market. Promoting our region abroad can also be of great value to the Antwerp chemical industry, allowing it to attract additional investors. 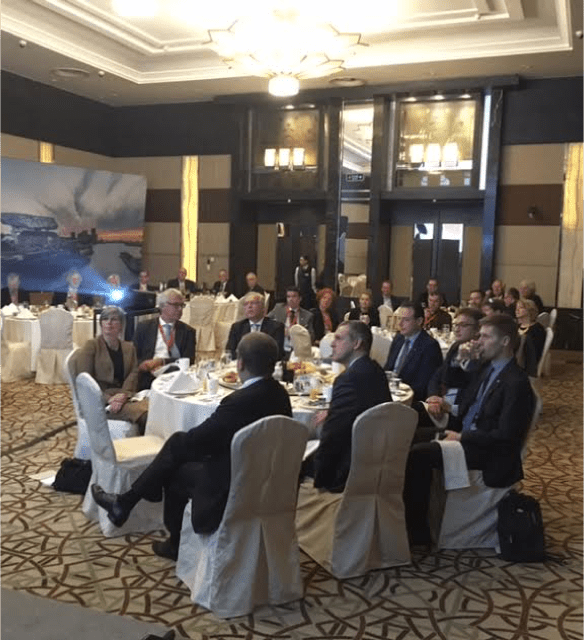 After arriving in Shanghai, the Port of Antwerp invited major shipping companies, freight forwarders and shippers located in Shanghai to an exclusive boat tour on Shanghai’s Huangpu river, followed by a networking dinner. The following day B2B meetings were organized for the participants by Flanders Investment & Trade. A visit to a local school was organized to gain insights into China’s educational system. 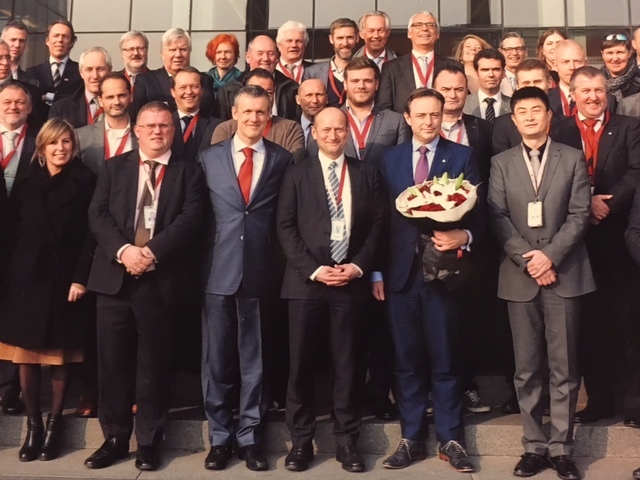 The AWDC invited its partners to visit the Shanghai Diamond Exchange and the HRD Antwerp ‘Centre of Excellence’ Shanghai, while the Port of Antwerp organized a visit to the headquarters of the China Ocean Shipping Co (COSCO), the largest dry bulk and liner carrier in China. In the afternoon, the seminar ‘Antwerp, a great European port city where innovation meets business’ took place. The seminar was focused on digital innovation and the circular economy, two core elements of the booming new Antwerp economy. A dinner, and a concert by the Royal Flemish Philharmonic concluded the day. December 16 started with the FCCC breakfast seminar ‘Doing Business with a New China’ (see below). More B2B meetings were organized for interested participants. The City Economy Coordination Council gave a presentation, followed by the signing of an MOU between the Antwerp Management School and the Donghua Business School, and a visit to Tech50 in Nanxiang town (Jiading district), one of the first high-tech incubators in Shanghai. A visit to the China Maritime Museum (CMM) was also organized, were junk models from the Antwerp MAS Museum were loaned to CMM. Some mission participants also visited the Huawei R&D center in Pudong. A reception at the Belgian Consulate-General in Shanghai concluded the mission. 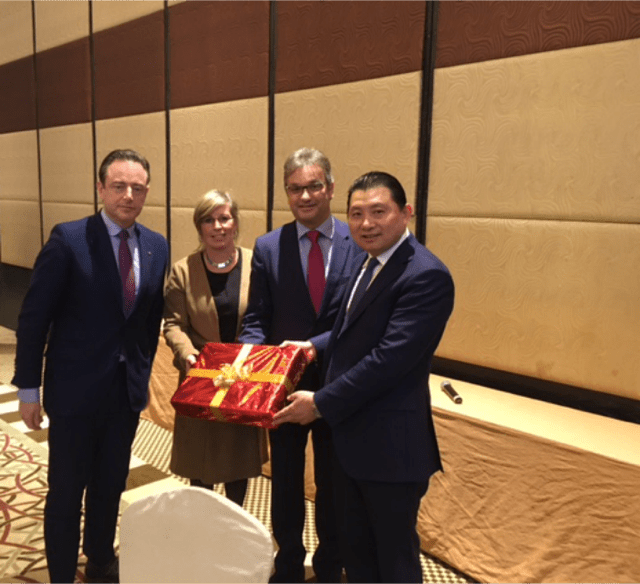 The Flanders-China Chamber of Commerce (FCCC) took part in the Antwerp Mission to Shanghai. During this mission, the FCCC organized a breakfast meeting focused on “Better Understanding and Negotiating with the Chinese”. This breakfast meeting took place on 16 December at the Regal International East Asia Hotel where the delegation was staying. The FCCC was represented by Mr Stefaan Vanhooren, Chairman and Ms Gwenn Sonck, Executive Director. Mr Stefaan Vanhooren, Chairman, Flanders-China Chamber of Commerce, welcomed the participants and introduced Prof Ji Bo, Assistant Dean of Global Executive Education, Chief Representative for Europe, Cheung Kong Graduate School of Business, who gave a presentation on “Better Understanding and Negotiating with the Chinese”. This was followed by a questions and answers session. This event was only open to participants to the mission. Bo has been teaching EMBA/MBA at some of the world’s most prestigious business schools such as INSEAD, Esade, MIT, New York University, Hong Kong University of Science and Technology, Technology University of Munich, Tsinghua University, CKGSB, Zhejiang University, Sun Yat-Sen University, Shanghai Jiaotong University etc. In addition Bo also offers advice to Chairmen and CEO’s. He is also a frequent speaker at renowned international conferences, forums, TV media and annual corporate meetings.